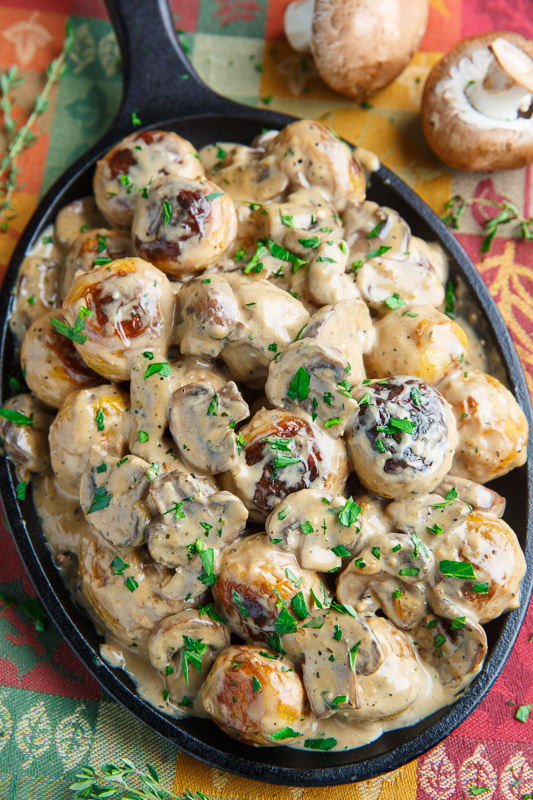 Roasted baby potatoes in a creamy mushroom sauce that is the perfect side dish for that special dinner! Looking for one more side dish for your Thanksgiving dinner? 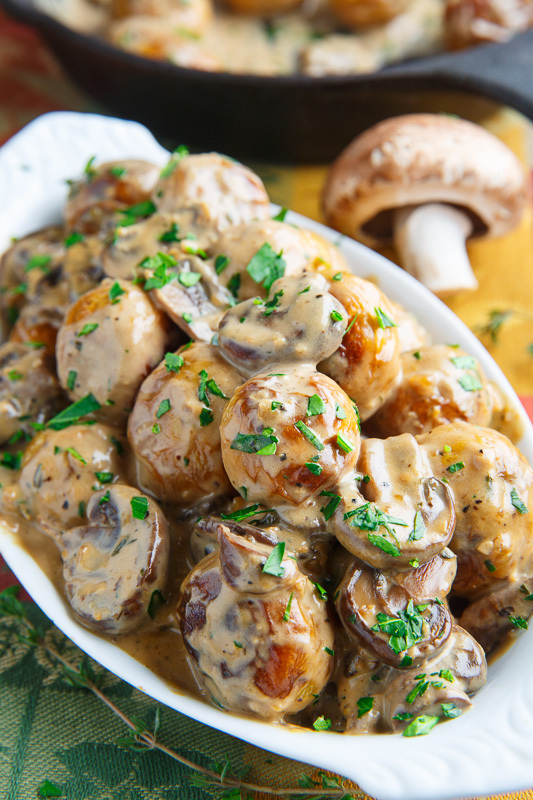 Look no further than these roasted potatoes in creamy mushroom and miso sauce! They are super easy to make and oh so tasty and good! 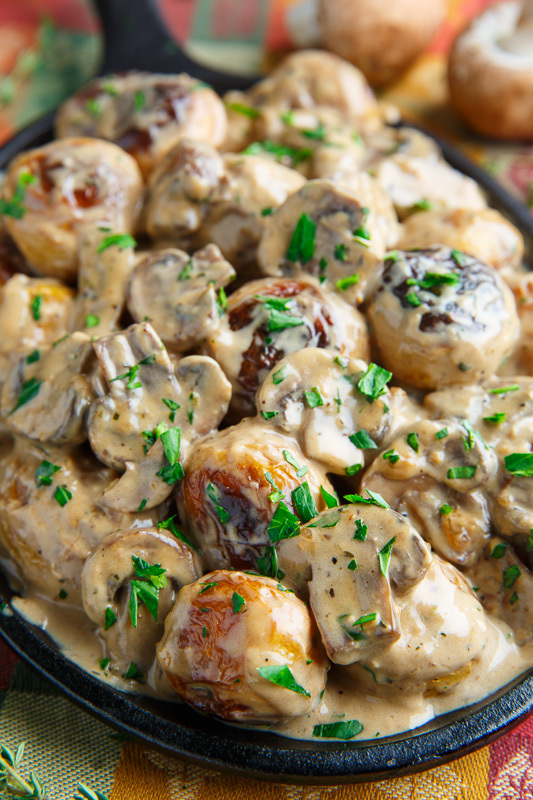 You just need to roast the baby potatoes, and baby potatoes roast quickly, make a simple and delicious mushroom sauce and toss them together! The creamy mushroom sauce is packed full flavour with garlic, thyme, parmesan and miso paste for that hit of umami flavour! 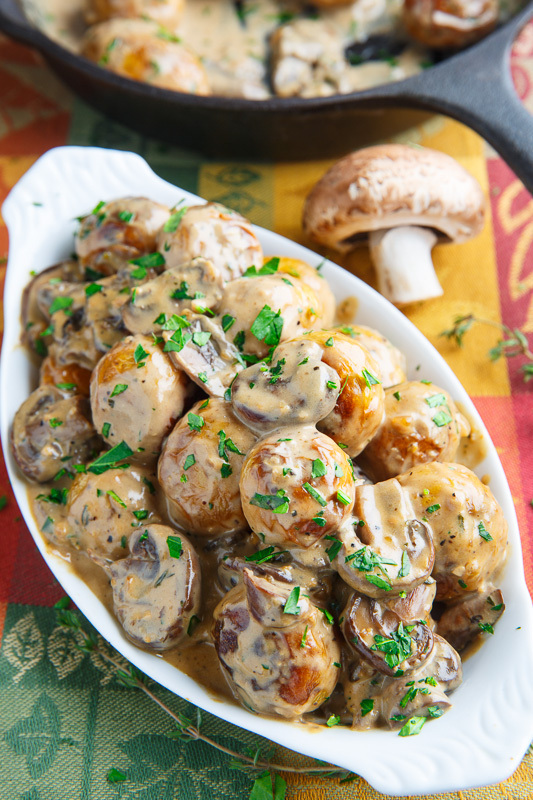 These roasted potatoes in creamy mushroom and miso sauce are sure to be a hit with whatever you are serving! 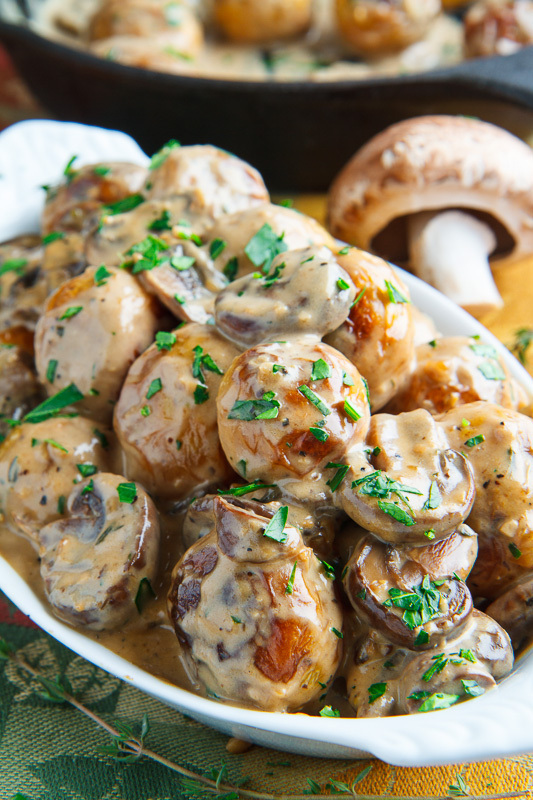 Tip: Make the mushroom sauce a day ahead of time to save some time when making a big meal. Toss the potatoes in the oil, salt and pepper, spread them in a single layer on a baking sheet and roast in a preheated 400F/200C oven until just tender, about 20 minutes, mixing half way through. Meanwhile, melt the butter in a pan over medium heat, add the onions and mushrooms and cook until the mushrooms release their liquids and it’s absorbed, about 10 minutes. Add the broth and cream, bring to a boil and simmer to thicken, about 2-4 minutes, before mixing in the cheese and miso and removing from the heat. Season with salt and pepper to taste, toss with the roasted potatoes and enjoy! Option: Add 1 ounce dried porcini mushrooms by soaking them in 1/2 cup boiled water for 20 minutes, chopping them and adding them to the sauce with the broth for even more mushroom flavour! Option: Add 1 tablespoon grainy mustard to the sauce. Mushrooms are one of my favorite veggies!